PODIA capsules presently in use throughout the hospitality world are natural for imparting information such as: daily messages or special guest services. They are also a great way to quickly and efficiently assist visitors and guests. Shown here are two examples. 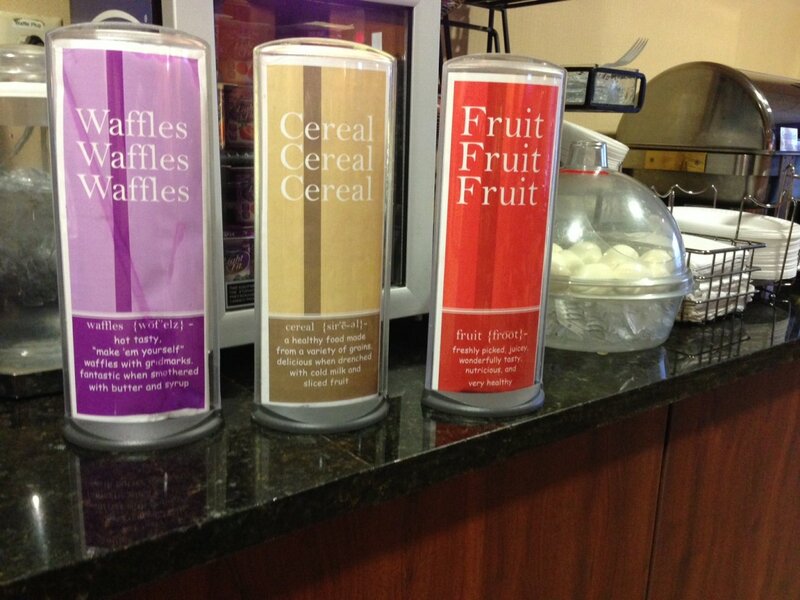 Guests are immediately and proudly shown the main offerings at a breakfast bar at a Best Western in New York State. 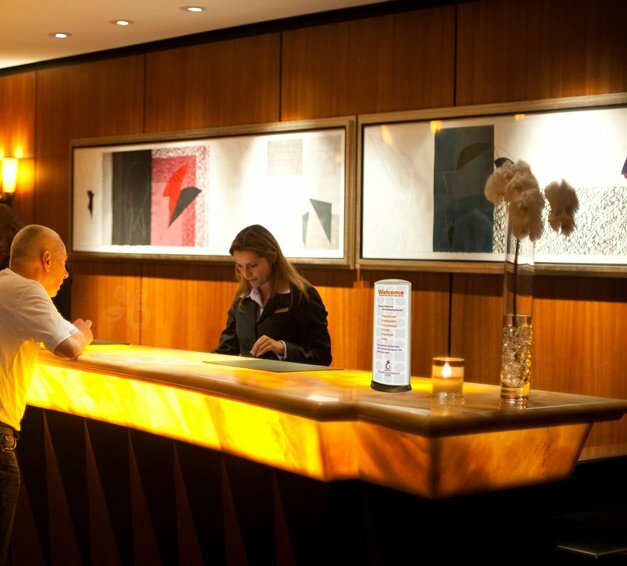 The second example is the registration counter at a Michigan Radisson that alerts guests to special services upon check-in. Capsule inserts can be printed in-house and changed as needed by the hotel communications staff. Also important in this industry: the capsules are virtually indestructible and easily cleaned. They can even withstand the rigors of commercial dishwashers!